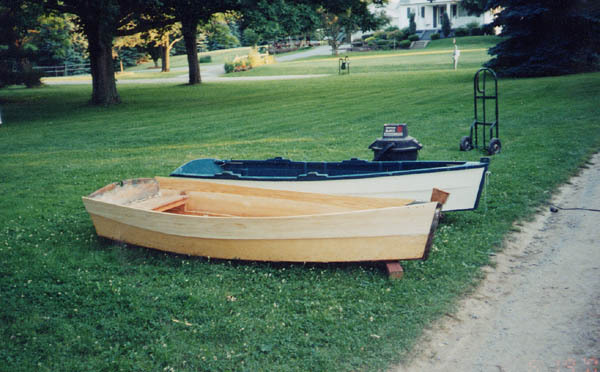 Art Lowrie bought this rowboat used in the early 1950s, when he was a teenager. He said it cost two weeks pay. 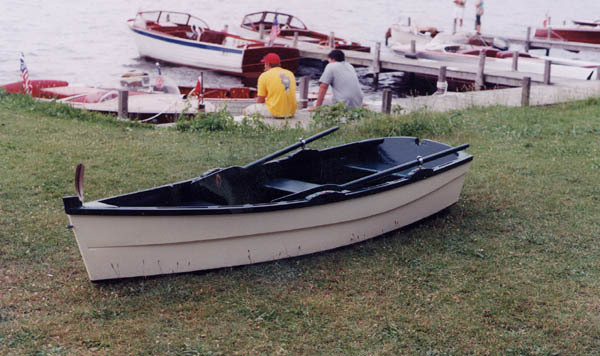 It has always been used on Conneaut Lake in Northwestern Pennsylvania. We do not know the manufacturer of this boat was. Old Town built a boat that was almost identical to this but this boat is no an Old Town. The hull number did not match Old Town's numbers. The boat's hull number is 6721. 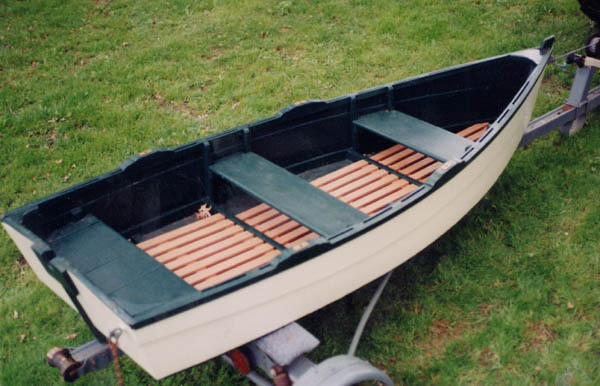 On this page you will see photographs of this boat over the nearly 50 years that Art has owned the boat. 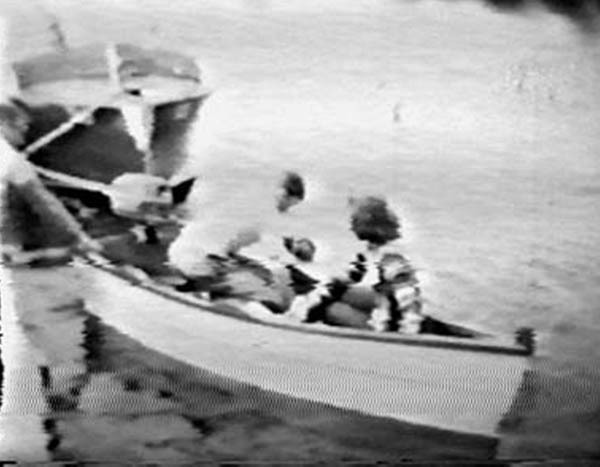 From home movies of the day that he bought the boat in the 1950s. 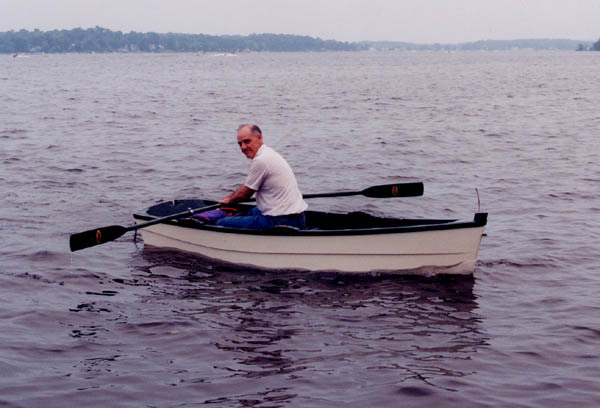 Actually Art's younger brother Jim is in the boat. 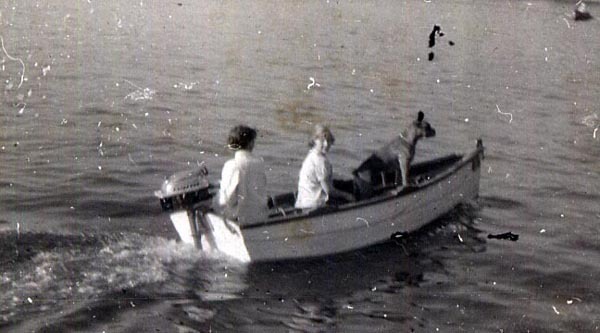 From around 1955 the boat with it's Evenrude engine. At the dock, around 1955 this photo was used to make the new floorboards. Only the front section was still around. 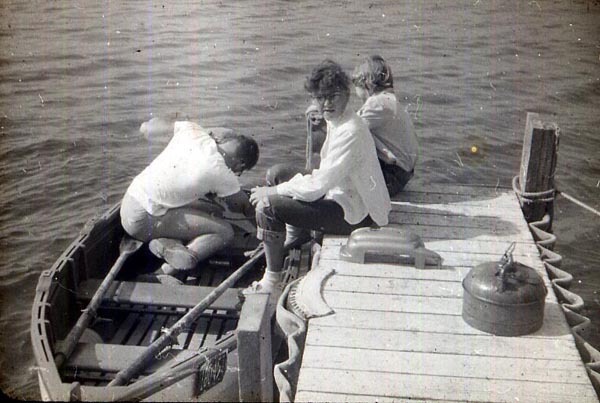 At the dock, July of 1958. 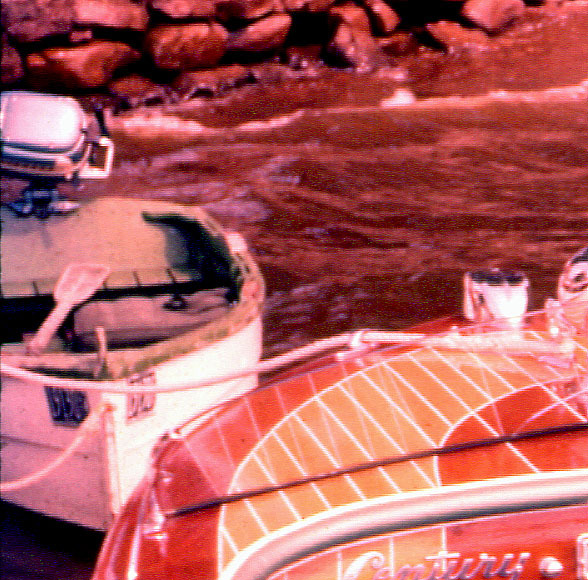 From the background of an Ektachrome slide of another boat. 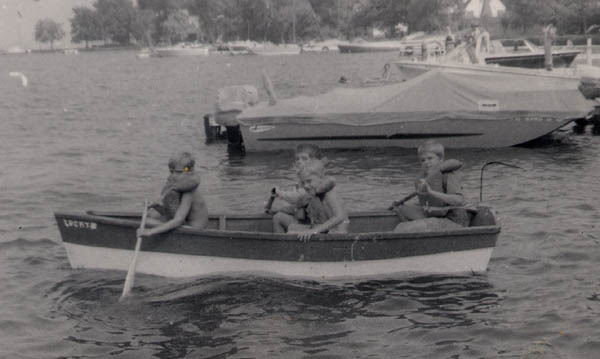 From around 1972 Just after being repainted, four of Art's nephews in the rowboat. They are Joe Lowrie, Frank Miklos, Dennis Lowrie, and Paul Miklos. 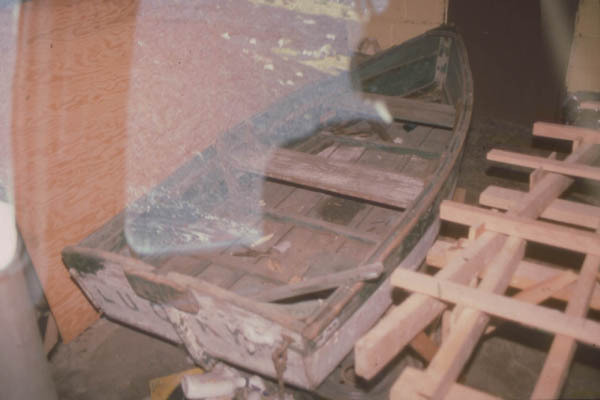 This same boat later was restored by Frank Miklos. 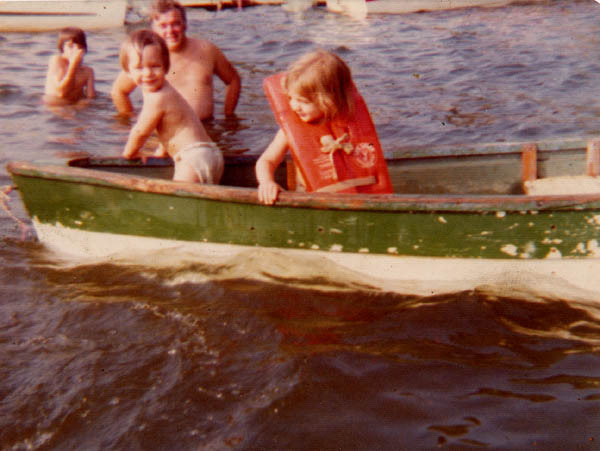 July 1974, this was the last time the boat was in the water until June 2001. 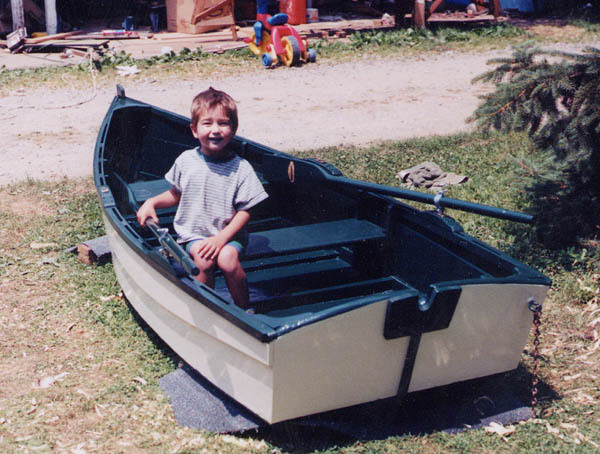 A 1974 Star Craft 12' rowboat was bought. 1991 after sitting for many years (some outside) waiting for restoration. 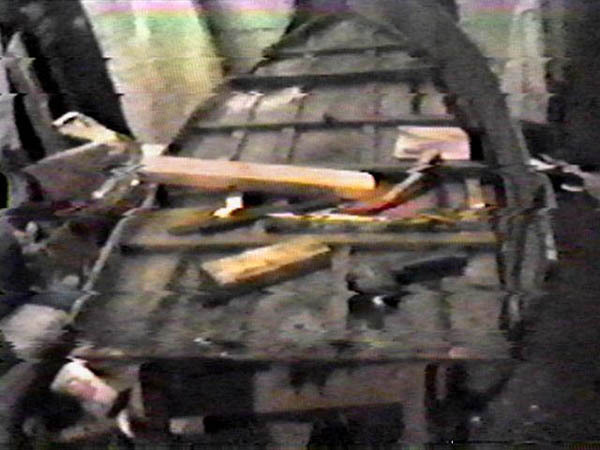 From video, 1992, the boat coming apart. 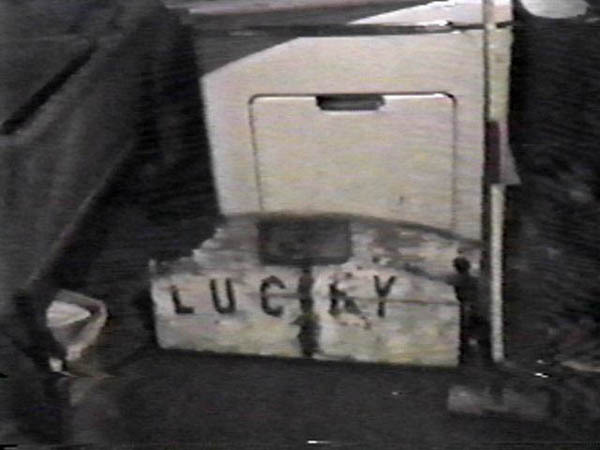 From video the transom sitting away from the boat. 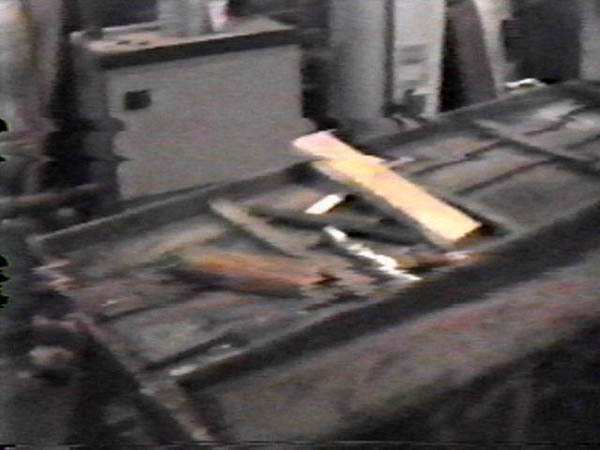 Late 2000, the original bottom planking going back on the boat. A layer of plywood was added so the original planking could be used. 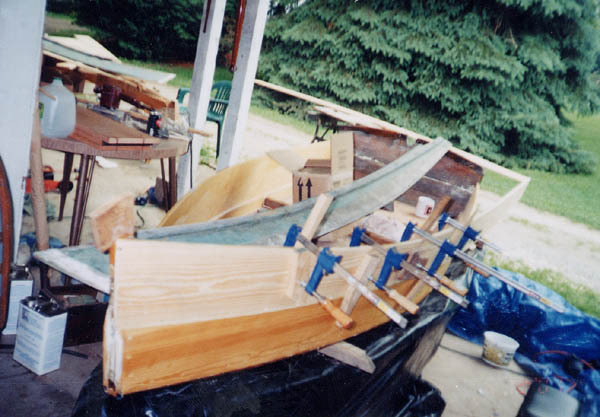 The original transom, stem, bottom frames, and bottom planks were reused. The new hull side lower planks also installed. 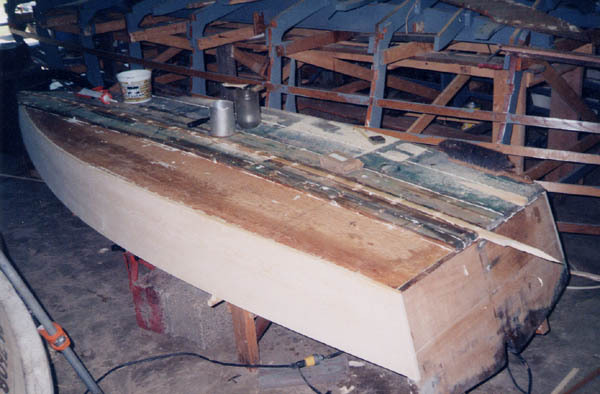 The first of the upper hull side planks being installed, 6/12/2001. With the planking all installed, sitting next to a replica of the same boat built in 1992. Photo date 6/19/01. 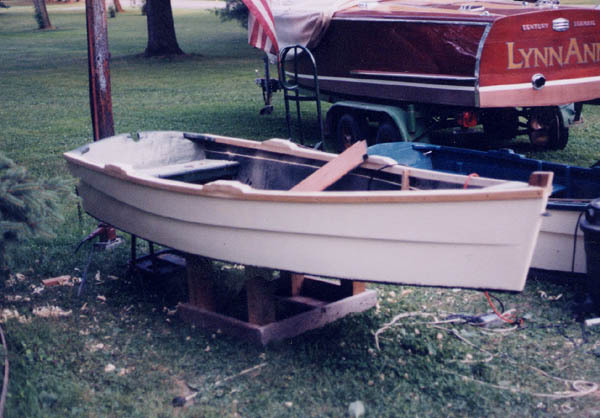 The inner and outer sheer installed and the white part of the hull painted, late June, 2001. The rush is on to have the boat ready for the Conneaut Lake Boat show. Finished in time. Approx 9 years after the project was started. The project had alot of downtime, approx 8 3/4 years. On display at the Conneaut Lake Classic Boat Show. The boat is not yet wet. July 1, 2001. 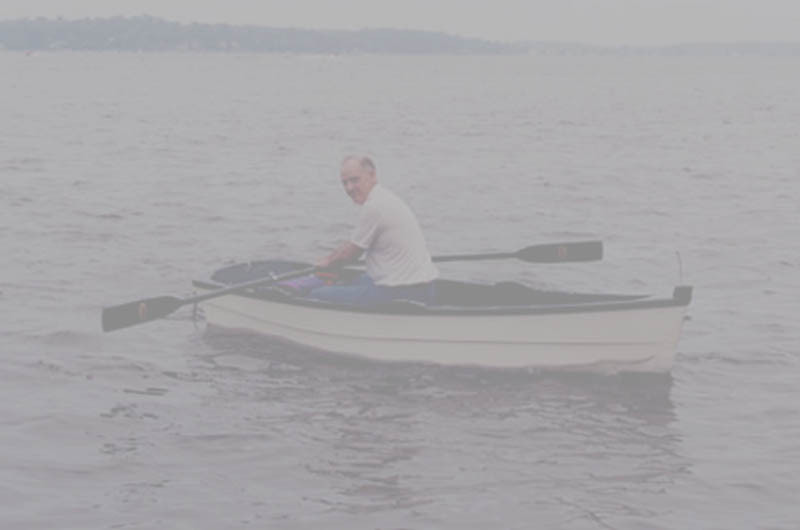 First time wet in over 25 years at the 2001 Conneaut Lake Classic Boat show, Art rowing his boat for the first time since the early 1970s. He has owned the boat for almost 50 years. Spring 2002 with the new floorboards in place. They were not finished in 2001.